Steve Scott hit the tape and was hit up. “Can I have your autograph?’’ a teenager asked. Scott, as usual, signed and smiled. Scott, the iconic American distance runner, was dusting off a 1978 story. Like his record 136 sub 4-minute miles, there’s a kick. That kid handing Scott a pen back then now has Scott’s life in his hands. “There is definitely a lesson in there,’’ Scott said, and he’s chuckling again. Scott, 58, announced recently he has prostate cancer and is being treated at Scripps Proton Therapy Center. Carl Rossi, that same post-race autograph seeker from that 10K in Orange County. You hear it in Scott’s upbeat voice. 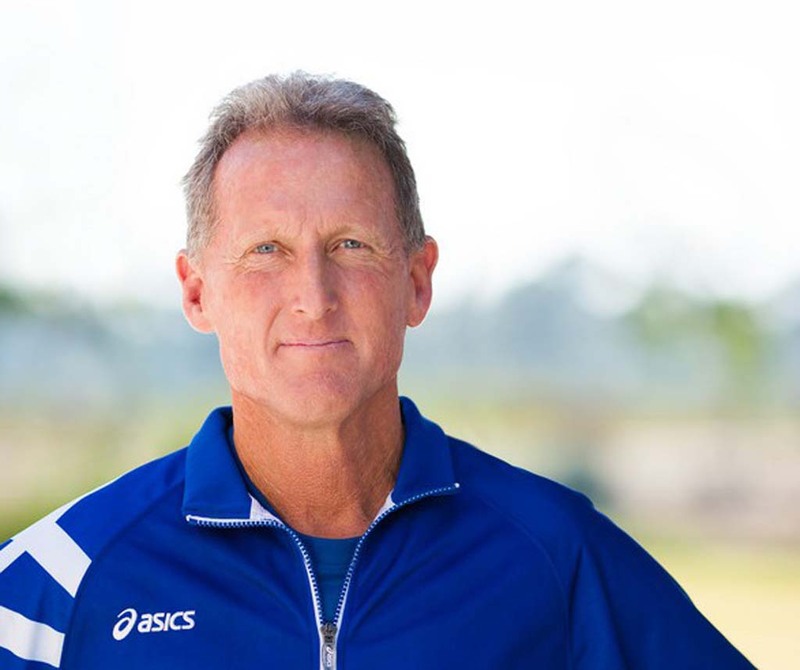 It’s at an optimistic level often reserved for the Cal State San Marcos track and cross-country teams he coaches. That circles us back to Rossi, as if we’re on the track. Rossi, 51, is a longtime volunteer assistant coach at Claremont McKenna College. For years Scott’s squads competed in the school’s Rossi Relays. Scott and Rossi are one, fighting Scott’s prostate cancer. Scott was diagnosed in June and has finished his eight-week treatment. Scott’s schedule hasn’t been altered. The Carlsbad resident who beat testicular cancer 20 years ago, is still motivating his charges and running three to five miles daily. Scott faced the truth, but was reluctant. Despite red flags raised from his primary physician, Dr. Tracy Dale, Scott didn’t initially act on her advice. “I didn’t think it was really a big deal,’’ Scott said. It was and the tumor was located near a nerve bundle. With traditional surgery or radiation, Scott’s quality of life would have been significantly compromised. “I was kind of accepting my fate,’’ Scott said. But his sister-in-law heard of Rossi’s proton therapy, a radiation treatment that kills cancer cells while preserving healthy surrounding tissue. “I figured he must be a snake oil salesman,’’ Scott said. Instead he was that teenager Scott once scribbled for. Rossi no longer has Scott’s John Hancock, but Rossi remembers the signature being clear. Everyone will sign off on that. Contact Jay Paris at jparis8@aol.com. Follow him on Twitter at jparis_sports. He talks Chargers football on 1360 AM on Monday mornings at 8.